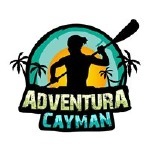 Adventura Cayman is a rental company in Grand Cayman, specializing in snorkel gear, bicycles, kayaks and paddle-boards. With a professional team of local tour guides, the company strives to go above and beyond client’s expectations every time by offering useful information to their guests about the island. Their aim is to give guests the freedom to explore Grand Cayman, including the best sites like Bio Bay, Spots Beach, and the Kittiwake. For the convenience of travel enthusiasts, Adventura Cayman provides an online interactive map, featuring a huge selection of things to do in Grand Cayman. This map includes useful information, images and suitable adventure gear for every location. For one of a kind, adventure filled experiences in Grand Cayman, please contact Adventura Cayman at http://adventuracayman.com/contact-us/.